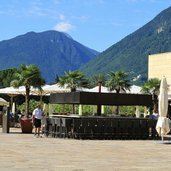 Something to look forward to in your holidays is well-being in a very modern style, in the Thermal Baths of Merano. 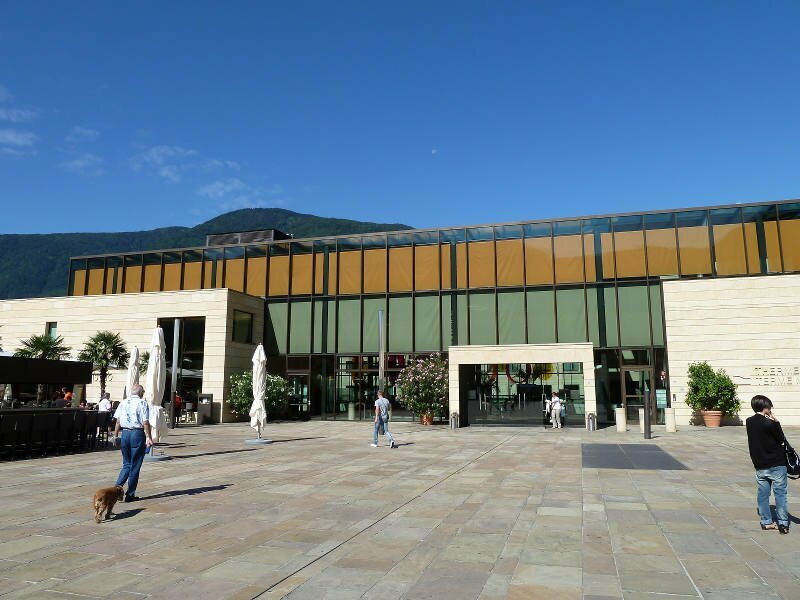 The centre of Merano: in the middle the Merano Thermal Baths, a building of glass. 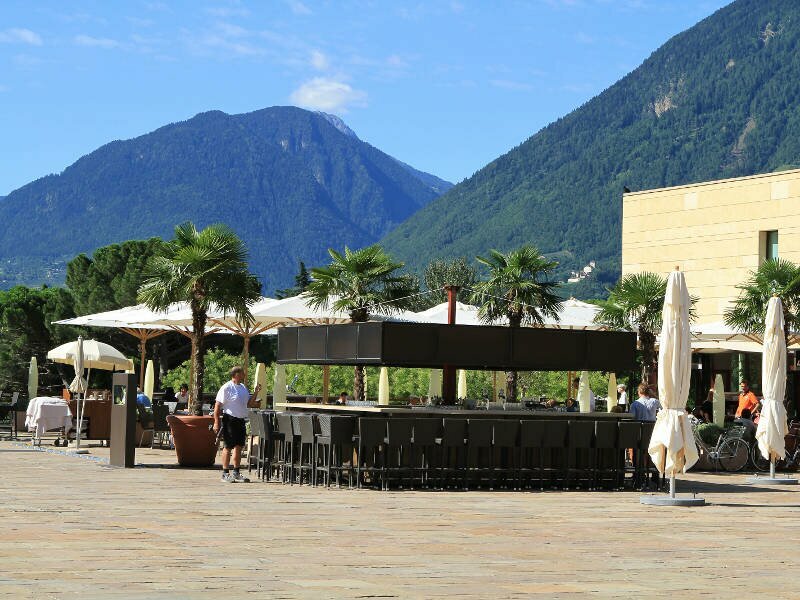 The wide square in front of the entrance to the Merano Thermal Baths. 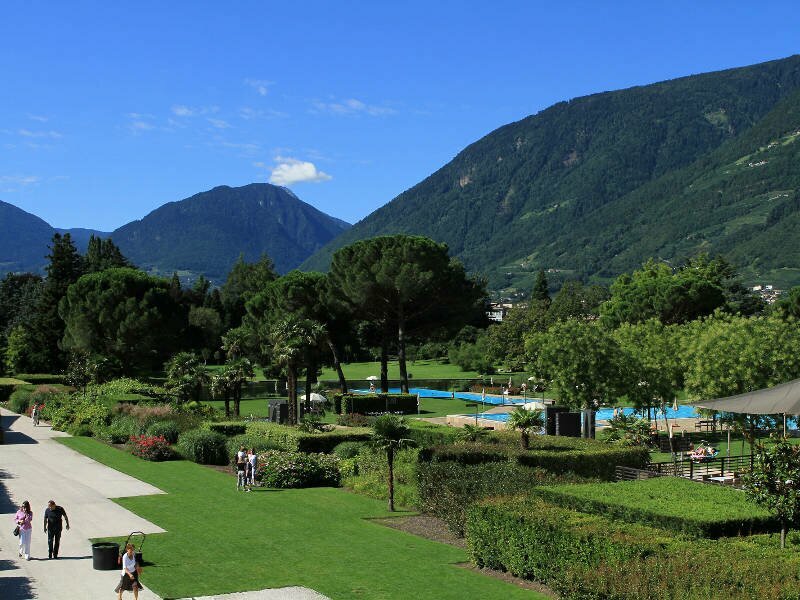 The park of the Thermal Baths - the green heart with more than 50,000 sqm. 478 different types of roses and 900 water lilies grow in the spa park. The park is opened from mid May to mid September. 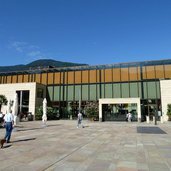 Parts of the Thermal Baths are also a bistro and a hotel with restaurant. 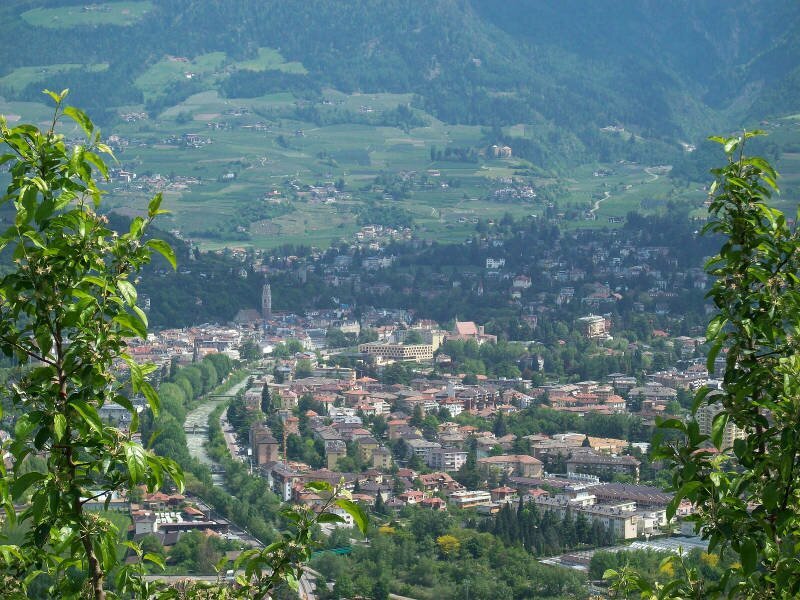 In Christmas time, Merano is completely taken in by a cheerful atmosphere. As we couldn’t resist, we went to experience this special feeling from different angles. 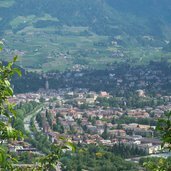 In our tour we met a woodcarver from the Valgardena valley, tasted delicious wines at Castel Rametz and listened to hunting horn blowers at Castel Tirolo. 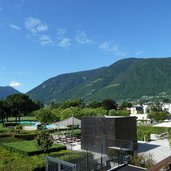 In December 2005, a highlight in the world of well-being in South Tyrol opened its gates in Merano. 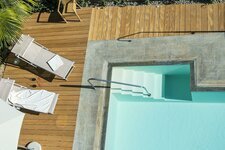 The Thermal Baths in the centre of the spa town are a special place for regaining energy, for reinvigorating or simply for relaxing all your senses. The highly innovative and artistically designed building offers you indoor a 7,650 sqm thermal landscape with 15 pools and 8 saunas and steam baths. One of them is the South Tyrolean organic hay sauna. 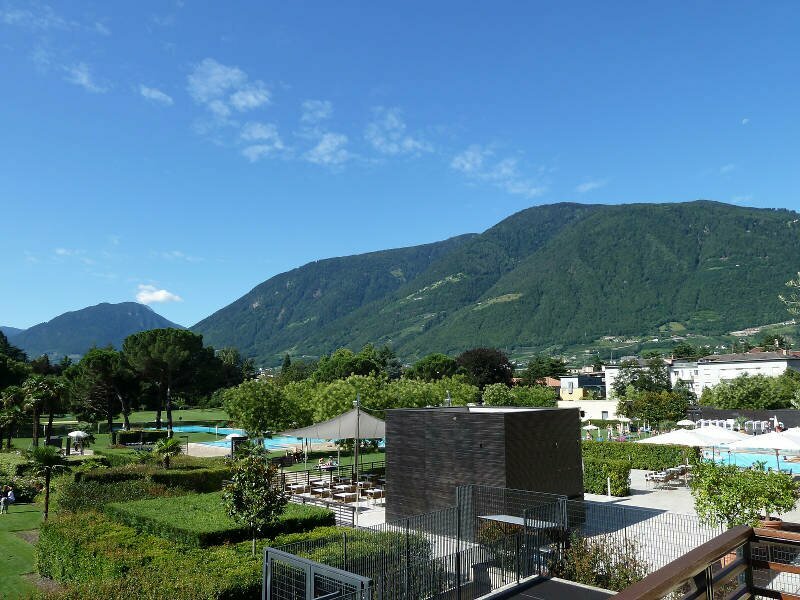 In summer also the outdoor area opens its doors: the outdoor swimming pool of the Merano Thermal Baths offers 10 pools in the green oasis of the 52,000 m² spa park. Part of the park is accessible only to visitors of the Thermal Baths. 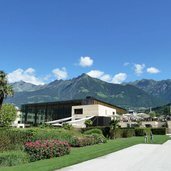 Further highlights of the facility are the modern and well-equipped fitness centre, an innovative Spa & Vital Centre and the cosy bistro. 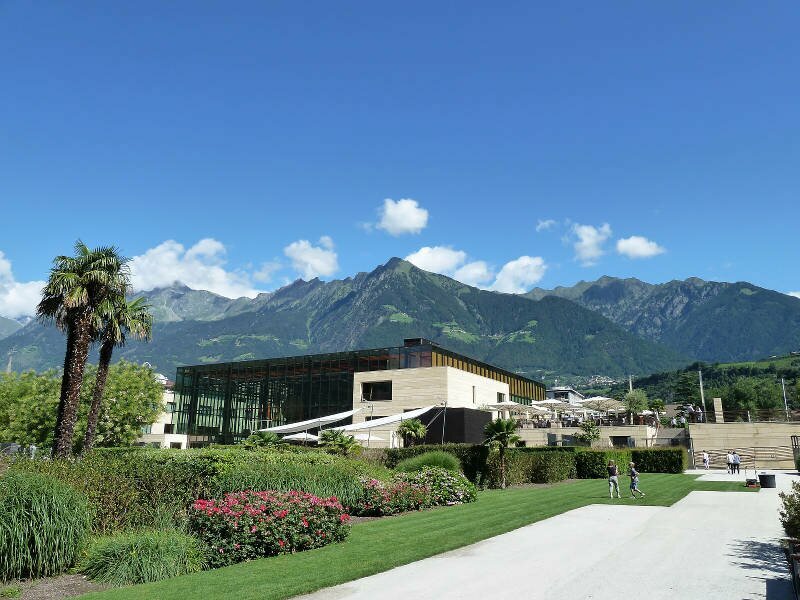 The Merano Thermal Baths welcome their guests 365 days a year and can easily be reached: the underground garage of the Merano Thermal Baths with its art installations provides space for 560 vehicles. The water containing radon and is applied in various therapies. The water vapours are especially calming for the mucous membrane, liberating for the respiratory tract and beneficial for the healing process of lung and bronchial infections. 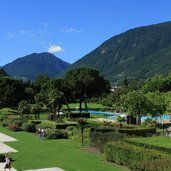 By the way: centuries ago Rainer Maria Rilke, Franz Kafka, the empress Sissi and her entourage used to visit the Merano Thermal Baths.